for our wallets to give you the smoothest and most supple touch. 13 designs - each offered in a choice of two colors and five textures ranging from smooth to pebbly. Every wallet has a unique combination of pockets, side entries, and RFID protection. Birthdays, graduations, promotions, anniversaries, trophy wins and more. Our wallets are the "go-to" gift idea! These beautifully made wallets will look good no matter what adventure you are planning. They are the perfect companion to take to dinner, a movie, or even the Alps! Only 20% of all leather skins are good enough to be used for our wallets to give you the smoothest and most supple touch. 13 designs offered in a choice of two colors and five leathers. 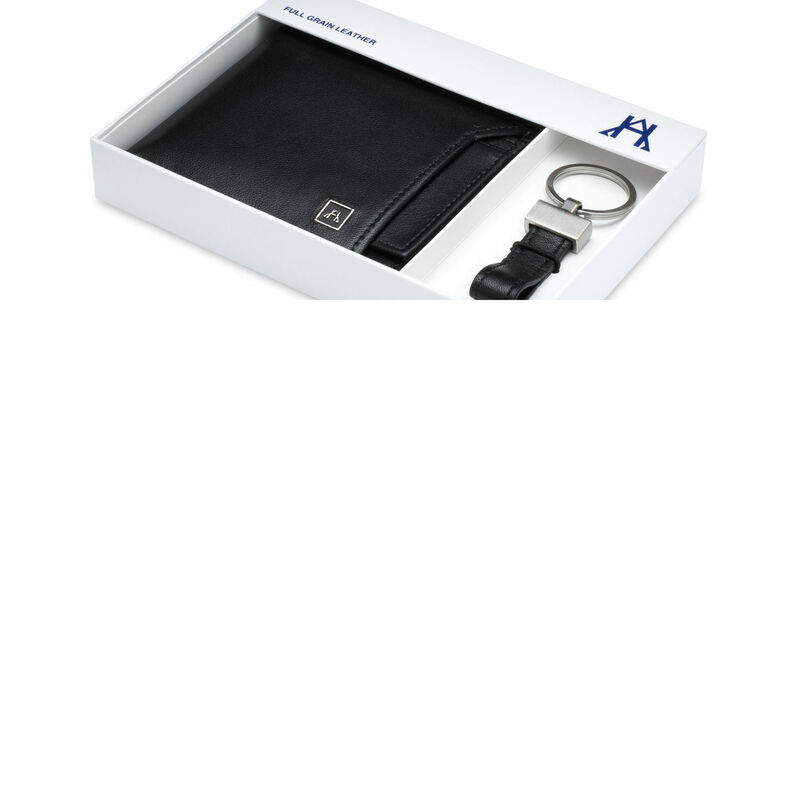 Every wallet has a unique set of pockets, side entries, and RFID protection. These beautifully made wallets will look good no matter what adventure you are planning. 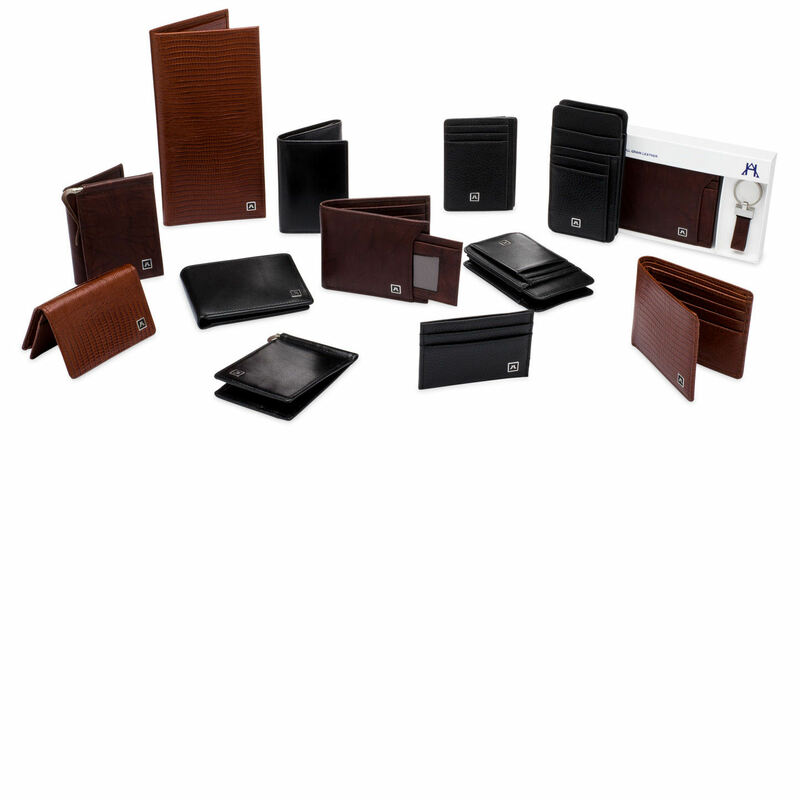 We start with the best full grain leather and construct each wallet with precise perfection. Full grain leather is the most important part of whichever wallet you choose since it will age handsomely with a rich and buttery patina worthy of the storied history it has shared with you. 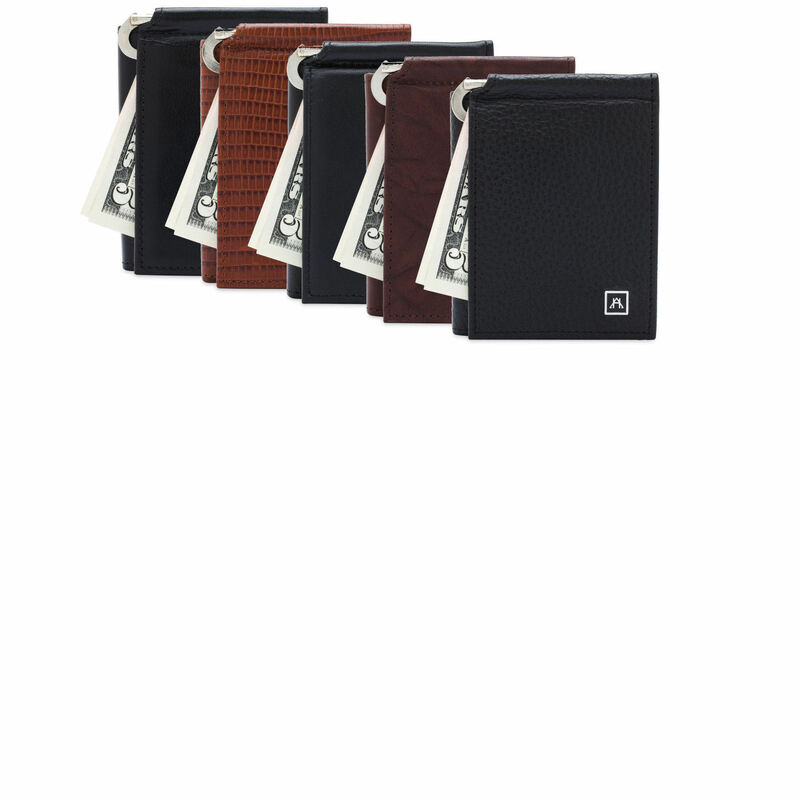 The craftsmanship of our wallets puts elegant style in your pocket with a practical attitude toward your bottom line. We hope you enjoy browsing through our wallets. You may find one or two that are just what you need! Check out our 13 different options in black or brown and 5 different textures. One will make you say, "That’s it!" 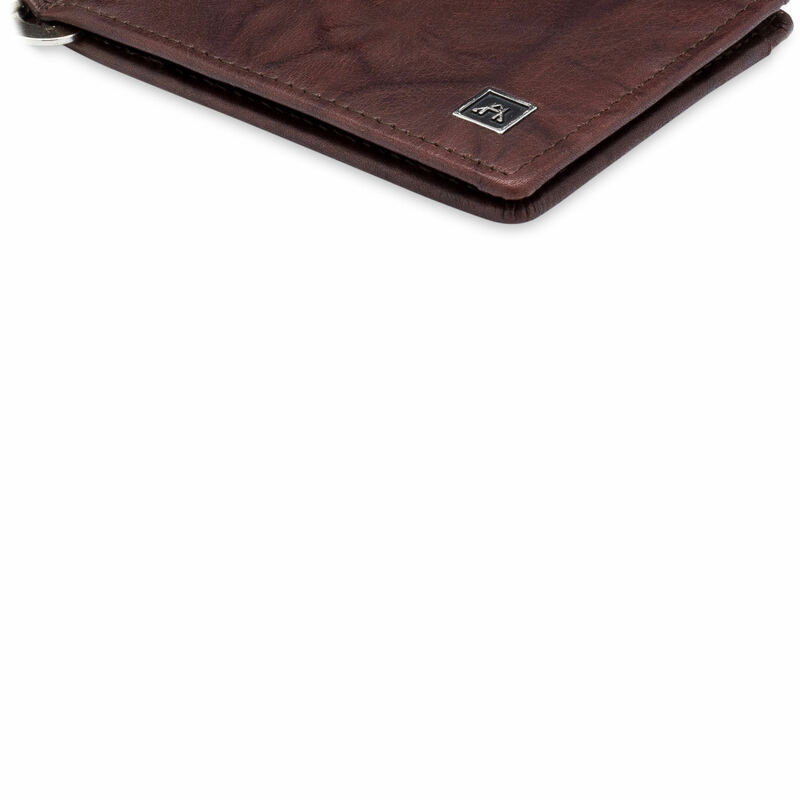 AH wallets are made only from the finest full grain leather with expert attention to every detail. For us, it's all about the craftsmanship! A great feature of all our wallets are the many pockets and side entries that let you have a place for everything you need! You won’t have to dig deep into your old wallet to afford one of ours! You'll find we are a very comfortable solution. Be sure to have a look at this unique concept for a money clip and wallet combination. It's an exclusive "all in one" design! Leonardo da Vinci observed that "simplicity is the ultimate sophistication". Take the challenge of slimming down your old wallet that has become overstuffed and outstretched and create a simple and efficient way to handle your daily finances. Empty the entire contents of your old wallet on a table and take inventory. Remove old receipts, outdated membership cards, ticket stubs, extra credit cards and cash. In your new wallet, put your driver's license, the few credit cards that you use on a daily basis as well as any ID that you may regularly need. Carry a reasonable amount of cash to get you through your day and a photo or two that will bring a smile. People lead very active lives these days and one wallet may not fit the bill for every occasion. An interesting way to think of this is to ask yourself if you are wearing dress slacks for business or a special evening out, casual slacks for travel, or jeans for living life to the fullest or just optimal comfort. The same wallet may not be right for every type of pocket. 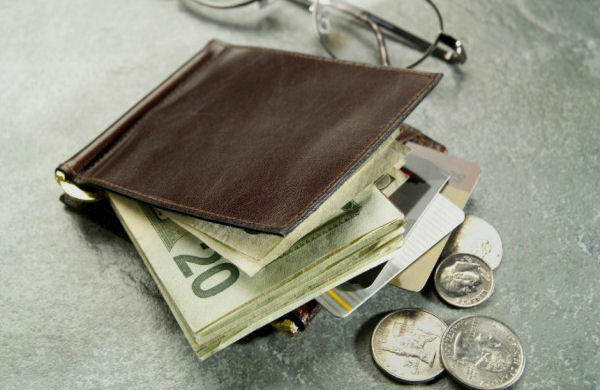 Carrying the right wallet for the right occasion will greatly simplify your needs. 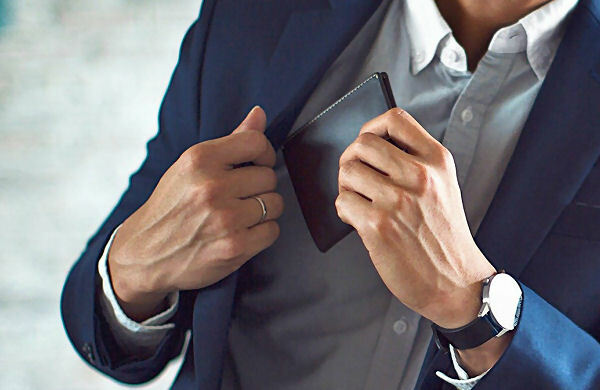 A slim wallet in your dress slacks will make paying for business lunches, romantic dinners, or theatre tickets quietly assured. 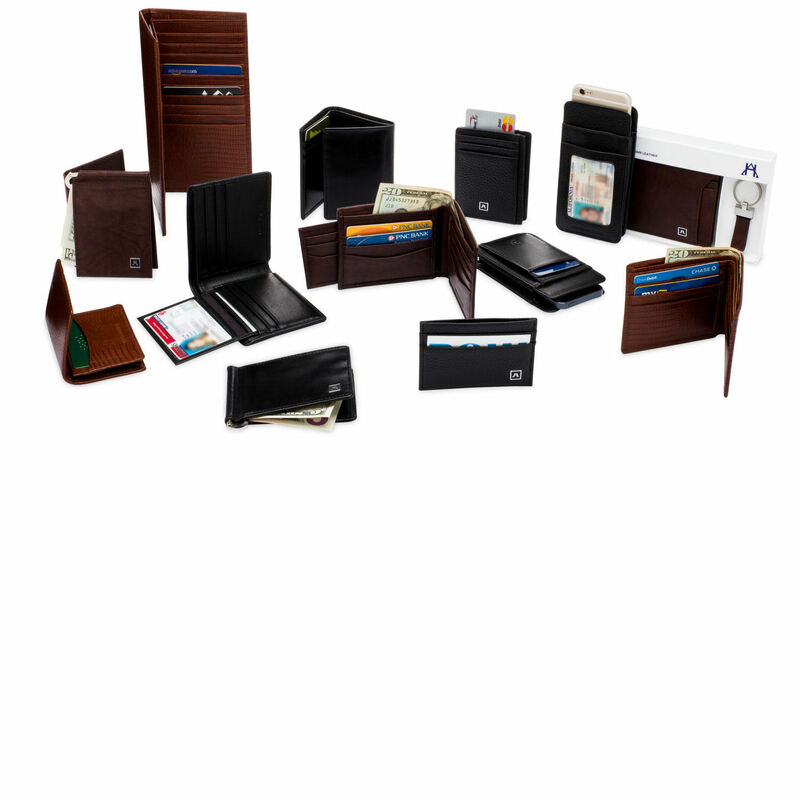 Any of our travel wallets will make boarding passes, passports, and foreign currency organized and efficient. For more rugged adventures, our full grain leather wallets will work and play as hard you can!